Stewartsville, MO…….Riley Scott Flint, 20, of Stewartsville, Mo., passed away from injuries sustained in a motorcycle accident onAugust 4,2018 @ Mosaic Lifecare, in St. Joseph, Mo. Funeral service will be held @ Culbertson Chapel UMC, Stewartsville Mo. on Saturday, August 11 at 10 a.m.., with Rev. Kevin Mayberry officiating. Christian Burial will follow at Stewartsville Cemetery. Visitation will be held @ Turner Family Funeral home, Stewartsville, on Friday, August 10, where family will receive friends from 6-8 p.m.
Riley was born in St. Joseph, Missouri, to Brian S. and Dee A. (Blair) Flint on June 21, 1998. He went to school in Stewartsville, graduating in 2016, going on to higher education at M.W.S.U. He enjoyed his computer work immensely. 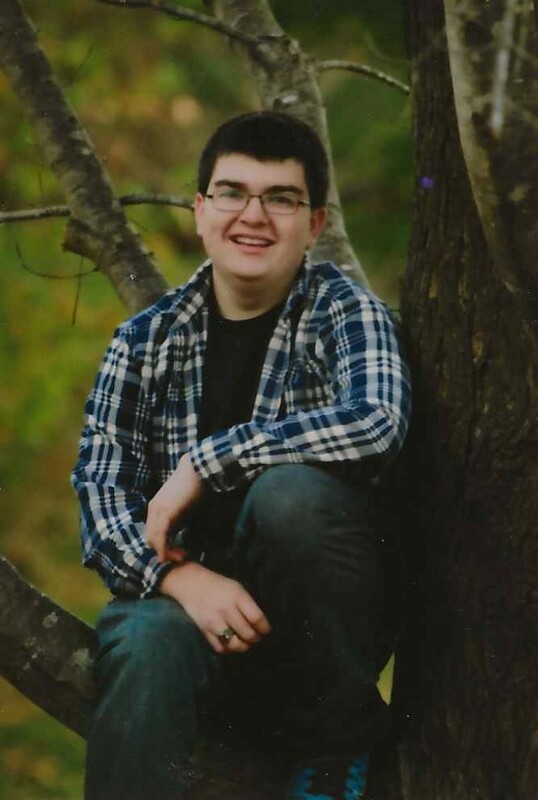 Riley was a member of Culbertson U.M.C., was an Eagle Scout, and won the National Robotic Competition. He was an organ donor. Riley is survived by his parents, brothers: Mason, Payton, and Lane. Grandparents: Patricia and Paul Flint,of Savannah, and Cheryl and Dean Blair of Clarksdale, and many other relatives and a multitude of friends. Contributions may be made to: The Riley S. Flint Memorial Fund in care of Turner Family Funeral Home, Maysville, Mo. I’m so sorry this has happened and you both are in my prayers. I am so sorry for your loss. Riley was an amazing young man. Riley was such a good friend to Trenton. Rest in peace Riley. We will miss you Riley. You are in my thoughts and prayers. I’m so sorry for your loss. Scott and family I am so sorry for your loss. . I know there are no words that could possibly make you feel better but we are so very sorry for your loss. My heart breaks for you. Never hesitate to call me if there is anything you need. Praying for you!!! I’m so sorry. I’m so sorry for your loss. Prayers sent all the way from Michigan. Dee, I’m so sorry for your loss! Prayers for all your family! Juanita and I are praying for you and your family members that you would find comfort in the midst of this tragedy. We can only imagine the pain you are going through and we pray that you are able to be comforted in knowing that Riley is at peace and is pain free and now has a heavenly body. If we can ever be of any assistance please don’t hesitate to call. Dean, Rod and I are so sorry for your loss. Our thoughts and prayers are with you and your family. We want you to know that our love, prayers, thoughts are with you in this very difficult time. Very sorry for your loss.